Gonets (Messenger) satellites are used for so-called store and dump communications. The spacecraft of this type records communication messages, such as fax, telex or an e-mail, in its onboard recorder as it overflies the sender and later transmits it to the addressee, when it reaches the range of its receiving antennas. The method was intended primarily for communications in very remote areas without ground-based communications channels. 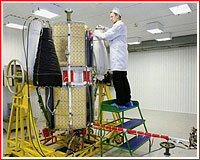 Original Gonets satellites, as well as Strela spacecraft, were based on a KAUR-1 standard satellite platform developed by NPO PM design bureau (presently ISS Reshetnev). Three generations of Gonets satellites had been identified: the first-generation Gonets-D1, a follow-on Gonets-M and the future Gonets-M1 version. The initial civilian version of the Low-Orbital Personal Satellite Communications System, NSPSS, designated Gonets-D1, was to be operated by Kosmoservice organization. The network would provide mobile, confidential and interference-immune communications for users equipped with just small-size consoles. Each satellite would cover an area of around 5,000 kilometers, within which users could communicate in near real time. When two users are located in different zones, the message would be transmitted as electronic mail - first stored on the satellite and then downlinked to the receiver. The network could also provide navigation with the accuracy of up to 100 meters, gather and relay data from various sensors, such as geodesic devices, seismographs and hydrological sensors. Finally, it could transmit text and image files. 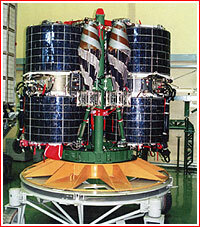 The first pair of demo satellites, called Gonets-D, for the future 12-bird constellation was launched on July 13, 1992. It was followed by the first trio of satellites on Feb. 19, 1996. Gonets-D1 were guaranteed to function only 1.5 years and during 1996 and 1997 only two trios of satellites were launched, making it impossible for the network to provide promised coverage. Three more satellites were lost in December 2000 and three more successfully launched by the end of 2001. A partially completed network was declared operational in February 2002. Despite its limited capacity, the network's service reportedly proved to be popular. The actual life time of the constellation's satellites turned out to be from 2.5 to 14 years, with two satellites surviving in space until 2011. As of 2010, the Gonets-M constellation, consisting of a dozen satellites placed in four orbital planes, was promised to be deployed by 2015. However, in 2011, only one Gonets-D1M satellite launched in September 2010, remained operational. A company called OAO Sputnikovaya Sistema Gonets was charged with operating the Gonets constellation on behalf of Roskosmos via the main control center in Moscow and regional support facilities in Moscow, Zheleznogorsk and Yuzhno-Sakhalinsk. A more advanced network, identified as Gonets-D1M and consisting of Gonets-M1 satellites, was approved within the Russian space program covering a period from 2006 to 2015. Under development from at least 2006, the Gonets-D1M constellation, was to provide 20 times more capacity for data transmission than its predecessor. (421) (More than 10 times, according to other sources (501)). The speed of information exchange between users of the network would be increased by more than 30 times compared to that in the previous version and the network would now offer a truly global coverage. As many as one million users could communicate via the system around the world in real time. The preliminary design of the network was conducted during 2010. The new Gonets-M1 spacecraft would be based on the unpressurized Ekspress-500 platform and designed for a 10-year operational life span. (420) In January 2013, ISS Reshetnev was still working on addendum to the preliminary design of the network, which was scheduled to be completed in the middle of 2013. Thus, by the end of 2015, Gonets-D1M constellation would have to include 18 satellites, including 14 Gonets-M spacecraft and four Gonets-M1 birds. There were plans to form a joint global network comprised of Gonets satellites and US Orbcomm low-orbital satellites. Resources of two networks promised further expand the capabilities of the service. In June 2012, the head of ISS Reshetnev said that a total of five Gonets-M satellites had been ready for launch and additional eight had been in production. He promised the launch of a pair of satellites followed by a trio of spacecraft all during 2012. These new satellites would form the initial constellation capable of providing limited practical services, such as e-mail exchanges with up to half-hour interruption. When directly within the 5,000-kilometer range of the satellite, customers could make telephone calls. With the launch of eight additional satellites then planned during 2013-2015, e-mail and telephone services would be available across the entire Russian territory. Outside Russia communications via Gonets would still be available, but with various levels of interruption. In the equatorial regions, interruptions would reach around 15 minutes. The head of ISS Reshetnev stressed that many potential users, such as unmanned meteorological stations or gas line sensors, do not need continuous connection via high-cost geostationary satellites. They could all use Gonets to send data during available windows. Following the launch of two Gonets-M satellites in July 2012, the Gonets-D1M network had five operational satellites: two first-generation Gonets-D1 and three Gonets-M satellites. All five satellites were transmitting at frequencies 0.2-0.3 gigahertz and three satellites were additionally transmitting at 0.3-0.4 gigahertz. In October 2012, the Director General of the Gonets communications network Dmitry Bakanov told RIA Novosti news agency that new-generation Gonets-M1 satellites would be adapted for launch on the Soyuz-2-1v rocket, instead of Rockot. By the beginning of 2013, Russian space officials promised only three new satellites to fly during the first quarter paving the way to a trial use of the network featuring six satellites at the beginning of 2014. Three more launches were planned and the first and third quarter of 2014 and the first quarter of 2015. The full operational network was now promised to have 12 satellites. It was achieved with the launch on March 31, 2015. At the time, the constellation was expected to enter experimental operation by the end of 2015 and its ground infrastructure was promised to be ready at the beginning of 2016. To support the Gonets constellation until 2024, nine more Gonets-M spacecraft were in production in parallel with ongoing development of a follow-on Gonets-M1 satellite, ISS Reshetnev announced in March 2015. According to a representative of the Gonets network, this number included two satellites in full readiness on the ground and seven satellites in development. At the time, all future launches of Gonets satellites were expected to be switched from Rockot to Soyuz-2-1v or Angara-1.2 rockets. A military version of the Gonets-M spacecraft was known as Strela-3M (apparently also designated 14F132). 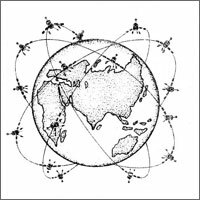 The Gonets satellites were also proposed a basis for the Kosmonet network, which would provide an orbital-based Internet for mobile users on Earth and in space. The system promised to enable a global control, data and telemetry transmission from satellites and rocket launchers, bring mobile Internet access to arctic and antarctic regions, as well as improve the reliability and reach of wireless Internet connections on narrow city streets and tunnels. Individual satellites in the network would be able to channel data between each other at high speed in order to provide a most efficient routing of information from one user to another. Preliminary and yet to be funded plans for the deployment of the Kosmonet network called for the deployment of 24 satellites by 2016 and the growth of the constellation to 48 satellites by 2020. The price tag for the system was estimated at 20 billion rubles and require a decade to turn profit. In October 2012, ISS Reshetnev received a federal contract for the second phase of the Gonets-M development project, OKR, during 2012-2015. The work aimed to develop the Gonets-D1M communications network consisting of Gonets-M satellites. The work would be conducted in parallel with the development of the satellite system with Gonets-M1 satellites. 2017: A Rockot/Briz-KM vehicle to launch the first Gonets-M1 satellite from Plesetsk. The three-stage Tsyklon-3 booster took off from Launch Complex 32 in Plesetsk at 06:24 Moscow Time on December 28. The rocket was carrying six satellites, including three Gonets D1 (Messenger) spacecraft intended to replenish a low-orbital communications network. Remaining three satellites onboard the rocket belonged to the Russian Ministry of Defense and in an accordance with the standard practice for the military spacecraft were identified as Kosmos-2384, -2385 and -2386. The third stage of the Tsyklon-3 rocket normally inserts the entire cluster of six spacecraft into circular orbits with an altitude of about 1,400 kilometers and an inclination of 82.6 degrees toward the Equator. A previous attempt to launch a Gonets/Strela cluster ended in a failure a year ago. (The latest launch was previously planned for December 22 and December 26, 2001). 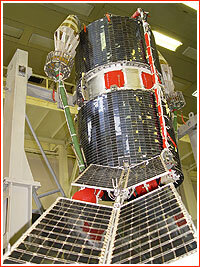 2005 Dec. 21: Russian space forces launched a dual payload from the nation's northern cosmodrome in Plesetsk. The Kosmos-3M (No. 232) rocket blasted off from Pad 1 at Site 132 at 22: 34 Moscow Time on December 21, 2005, carrying the Gonets-1M ("messenger") low-orbit communications satellite for the Russian government agencies and a classified military payload, which was not given any designation in the official statements immediately following the launch. Satellites were later identified as belonging to a brand-new Rodnik series. The representative of the Russian space forces said that the launch went flawlessly and the spacecraft were expected to separate from the rocket at 23:28 Moscow Time, however the event could not be confirmed until the payloads entered the communications range with ground control stations at 00:28 Moscow Time on December 22, 2005, or almost two hours after the launch. The mission was previously scheduled for Dec. 15, 2005 and Dec. 20, 2005. 2008 May 23: A converted ballistic missile delivered a cluster of satellites, after a successful launch from Russia's northern cosmodrome. The Rockot booster lifted off from Plesetsk on May 23, 2008, at 19:20:09. The vehicle carried a trio of Strela-3/Rodnik satellites along with the Yubileiny experimental spacecraft. The separation of three Strela satellites from Briz-KM upper stage was scheduled for 21:04:18 Moscow Time on May 23, 2008. The separation of the Yubileiny spacecraft was scheduled for 21:05:08. The maneuver of deorbiting of the Briz-KM upper stage was scheduled between 21:15:15 and 21:16:55 Moscow Time. The launch was previously expected at the end of 2007 and on Feb. 28, 2008. 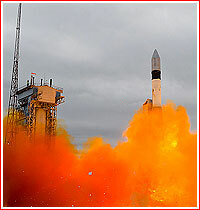 2009 July 6: Russia launched a trio of military satellites from its northern cosmodrome. The Rockot booster lifted off on July 6, 2009, at 05:26 Moscow Time, carrying three military satellites, the official Russian media said. The payloads, identified as Kosmos-2451, -2452 and 2453 were released into their operational orbit at 07:01 Moscow Time. ISS Reshetnev later reported that it was responsible for the development and manufacturing of the triple payload in the mission and that the satellites were designed for military communications. 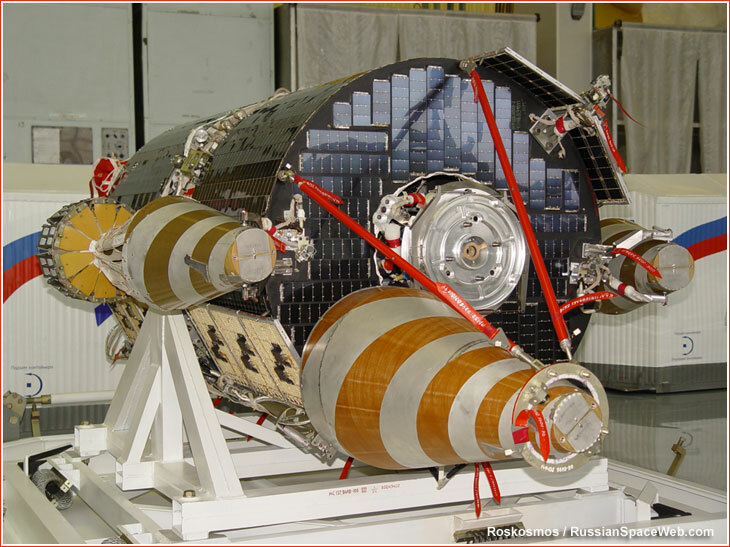 2012 July 28: Almost a year and a half after a launch failure, Russia's Rockot booster returned to flight Saturday successfully delivering four satellites. The light-weight launcher lifted off on July 28, 2012, at 05:35:34 Moscow Time (01:35 GMT; planned liftoff time was 05:35:00) from Pad 3 at Site 133 in Plesetsk. According to official reports, it carried a pair of Gonets-M communications satellites (No. 13 and No. 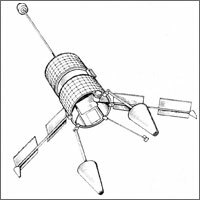 14) for the Gonets-D1M multifunction network, MSPSS, and a MiR (Yubileiny-2) remote-sensing spacecraft. A classified military satellite was also announced to be onboard. According to Russian sources, it belonged to the Strela communications network (17F13) and was similar to civilian Gonets satellites. Russian space agency, Roskosmos, confirmed that both Gonets payloads and MiR successfully reached the orbit, separating from their upper stage at 07:19 Moscow Time on July 28 (planned separation time for MiR was reported to be 07:20:33). For Gonets the operational orbit has an altitude of 1,500 kilometers and an inclination 82.5 degrees toward the Equator. Industry sources confirmed that the first communication session between ground control and MiR (Yubileiny-2) satellite had been conducted successfully. The launch was preliminary planned in December 2011, in March 2012, but it had to be postponed to May 26, June 30, then to July 13 and to July 28. The last two-week delay was caused primarily by issues with avionics onboard Rockot's Briz-KM upper stage. Civilian payload were delivered to Plesetsk on May 28 and the fueling of the launch vehicle was conducted on July 26. 2013 Sept. 12: Almost eight months after its not-so-flawless mission, the Rockot booster tried again on Thursday. The launch vehicle, converted from the UR-100NU ballistic missile and equipped with Briz-KM upper stage, was reported lifting off from Site 133 in Plesetsk on Sept. 12, 2013, at 03:23:04 Moscow Time (7:23 p.m. EDT on Sept. 11). The rocket was carrying a long-delayed trio of Gonets-M satellites for the Gonets-D1M communications network. Five minutes after the liftoff, the upper stage with its payloads was scheduled to separate from the second stage of the launch vehicle and four seconds later fire its own engine for about nine minutes in order to reach a 160 by 1,479-kilometer transfer orbit with an inclination 82.5 degrees toward the Equator. After the stack reaches the highest point of this orbit around an hour later, Briz-KM would fire its engine again for about a minute, forming a final circular orbit of the mission at an altitude of 1,500 kilometers above the Earth surface extending from South pole to North pole of the planet. Gonets satellites were scheduled to separate from the upper stage one hour, 50 minutes after launch. 11 minutes later, Briz-KM was programmed to fire its engine for less than two minutes in order to avoid released payloads -- the maneuver that apparently failed in the previous launch on January 15 with military cousins of Gonets satellites known as Rodnik. However on September 12, official Russian media reported that the mission had been conducted successfully. As of January 2011, this mission to deliver Gonets satellite was expected at the end of March 2011, but was later delayed to December 2011. In May 2012, the launch was promised in November-December timeframe. By July 2012, the mission was still expected in December 2012, however by October it was set for Jan. 30, 2013. At the end of 2012, the launch was promised on March 20, 2013, however by the end of January 2013 (in the wake of the latest technical problem with Briz-KM), the mission was postponed to April 23. The launch was then re-scheduled for Sept. 12. 2014 July 3: A Rockot booster launched a trio of communications satellites. The launch vehicle, which was converted from the UR-100NU ballistic missile and equipped with a Briz-KM upper stage, lifted off as scheduled from Site 133 in Plesetsk on July 3, 2014, at 16:43:52 Moscow Summer Time. The rocket was carrying three Gonets-M satellites for the Gonets-D1M communications network into a 1,400-kilometer near-polar orbit. According to the Russian space agency, Roskosmos, the mission will expand the Gonets constellation from seven to 10 spacecraft. During its powered flight to orbit, the Rockot was expected to drop its first stage into the Barents Sea, west of the Novaya Zemlya archipelago, and its second stage would then splash down in the Arctic Ocean, northeast of the Novosibirsk Islands. The official Russian media, quoting a spokesman of the Russian aerospace forces, VKS, confirmed the separation of the Briz-KM upper stage with its payload from the Rockot booster. The Russian Ministry of Defense then declared the mission a success, even though the official press-release time-stamped 17:33 Moscow Time cited "scheduled time" of satellite deployment as 18:28 Moscow Time. OAO Gonets company, which operates its namesake network, confirmed the successful launch and announced that counting the latest satellites, the constellation had reached 10 spacecraft, including nine Gonets-Ms and one Gonets-D1. Three more satellites were scheduled for launch at the end of 2014 or beginning of 2015, the company said. Above: A photo of a Gonets satellite released on July 2, 2014. 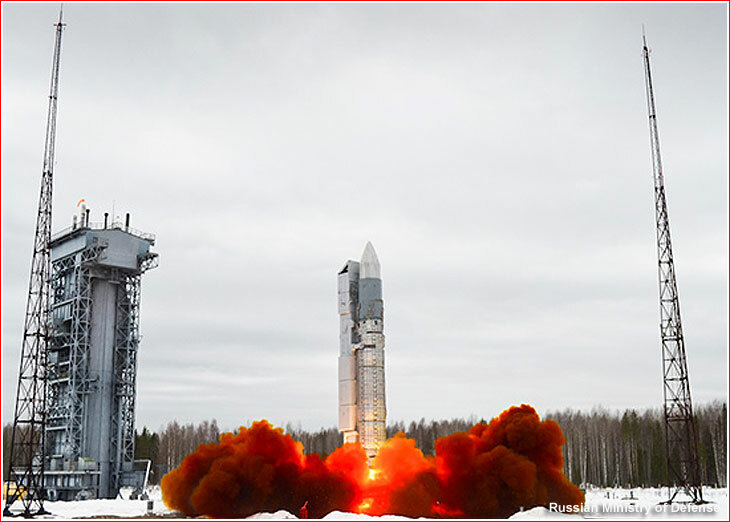 2015 March 31: A Rockot booster launched three Gonets-M satellites No. 21, 22 and 23 comprising Block No. 14 of the Gonets-D1M network and a classified military payload. According to the official media, the Rockot/Briz-KM lifted off on March 31, 2015, at 16:47:56 Moscow Time. The Russian Ministry of Defense confirmed the on-time launch and the presence of the fourth military payload onboard the launch vehicle, which would receive an official designation Kosmos-2504. The payload section separated from the second stage of the launch vehicle at 16:53 and the spacecraft were expected to reach its orbit at 18:45 Moscow Time. Western radar detected five objects (likely four satellites and their Briz-KM stage) in a 1,172 by 1,506-kilometer orbit with an inclination 82.5 degrees toward the Equator. Based on its orbital parameters, it was clear that Kosmos-2504 separated from the Briz-KM stage after it had maneuvered to its "burial" orbit, instead of being released along with a trio of satellites, as did Kosmos-2491 and Kosmos-2499. With their successful delivery into orbit, the Gonets-D1M constellation reached its target number of 12 spacecraft, according to a post-launch press-release from the spacecraft developer ISS Reshetnev. (The network also included one operational Gonets-D1 satellite). The head of the Gonets system Dmitry Bakanov confirmed that the March 31 launch brought the Gonets network to its full operational capacity for the first time in its history. However three newest satellites still needed from 45 to 60 days for testing and introduction into service. The mission was previously planned for March 3, 2015, however, around one day before a scheduled liftoff, the rocket had to be removed from the launch pad and returned to the assembly building for additional checks of engines on the first or second stage of the booster. The inspections were apparently triggered by recent ICBM tests, which led to failures caused by the propulsion system. A Rockot booster lifts off on March 31, 2015. 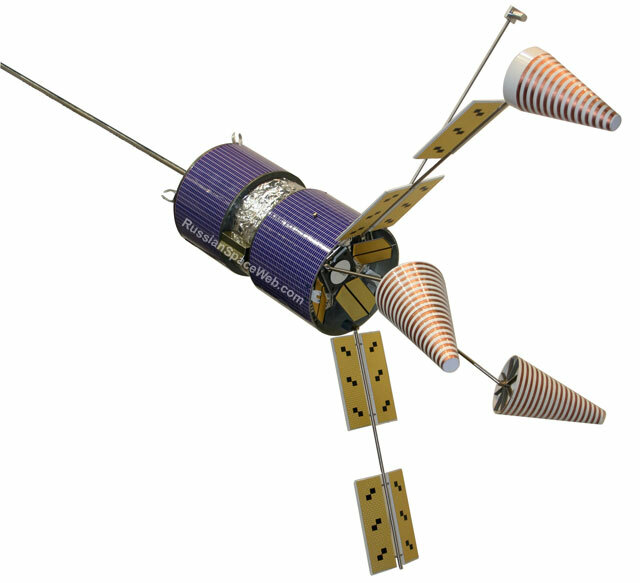 Gonets-M - An original satellite for the Gonets-D1 network; later used for the Gonets-D1M network along with new-generation satellites.